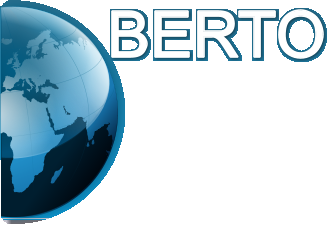 At BERTO, our core competencies include: • System Engineering • Program Management • Business Process Improvement BERTO Consulting Services, LLC has provided support to numerous Agencies in the Intelligence Community (IC) and the Department of Defense (DOD). 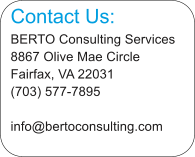 Our Engineers are typically skilled in business process re- engineering, technical areas, and subject matter expertise. By providing multi-disciplined Engineers, we helped the Customer minimize the number of resources needed to successfully implement numerous systems throughout the IC. We have supported the successful delivery of payroll, HRIS, logistics, data warehouse, and medical information systems to the IC. We supported the successful delivery of cloud technology to the Army and DARPA. Our Engineers also have experience with agile as well as traditional lifecycle methodologies.